Can I use a domain name(URL)? To use domain name, you should have one of the below products which equipt the DNS function. Some old products don't support this option. What is DNS(Domain Name Service)? DNS let users access to remote host with a domain name instead of IP address. 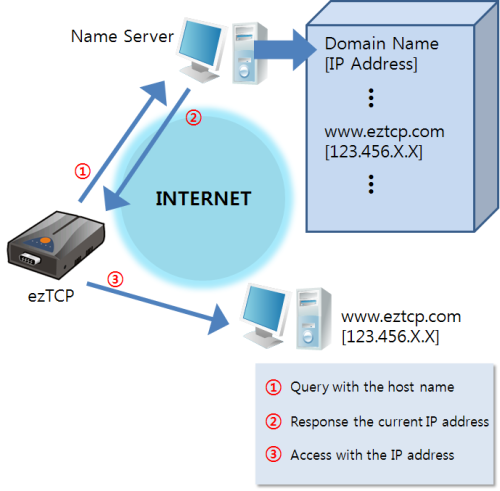 Remembering host name is easier than IP address. That is why this option is required.